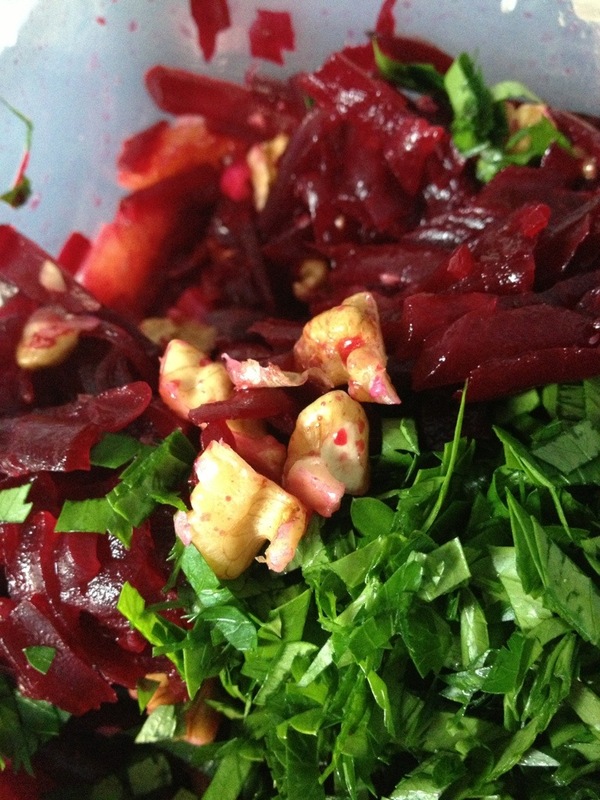 We were invited to a kid’s party last evening and I was asked to bring a salad with beetroots. 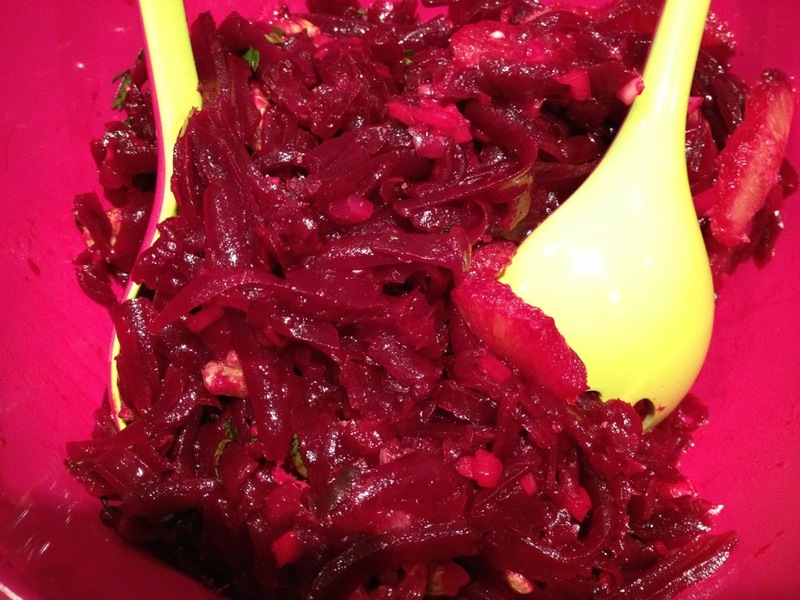 I chose a recipe by German chef and TV star Christian Rach but adapted it beyond recognition because I was too lazy to cook the beetroot myself and bought already boiled ones. 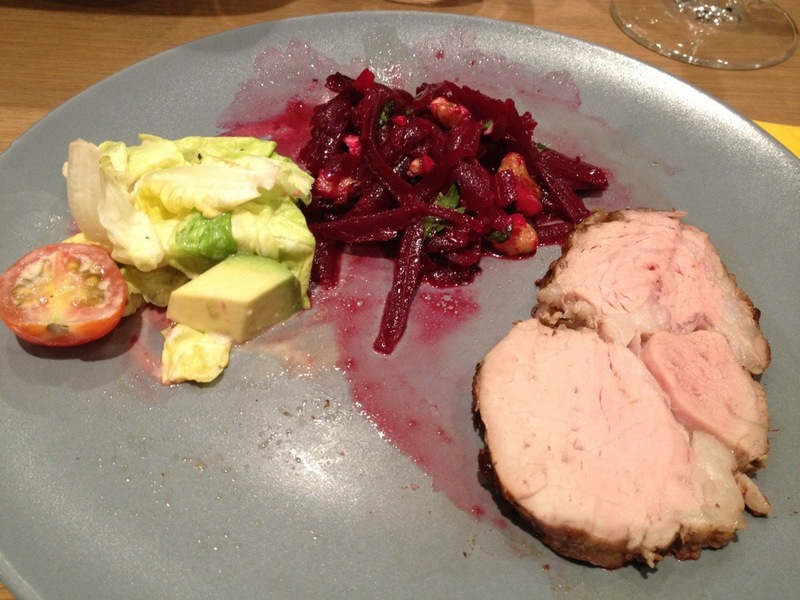 His recipes requires raw beetroot that you bake in tinfoil with star anise and cinnamon. 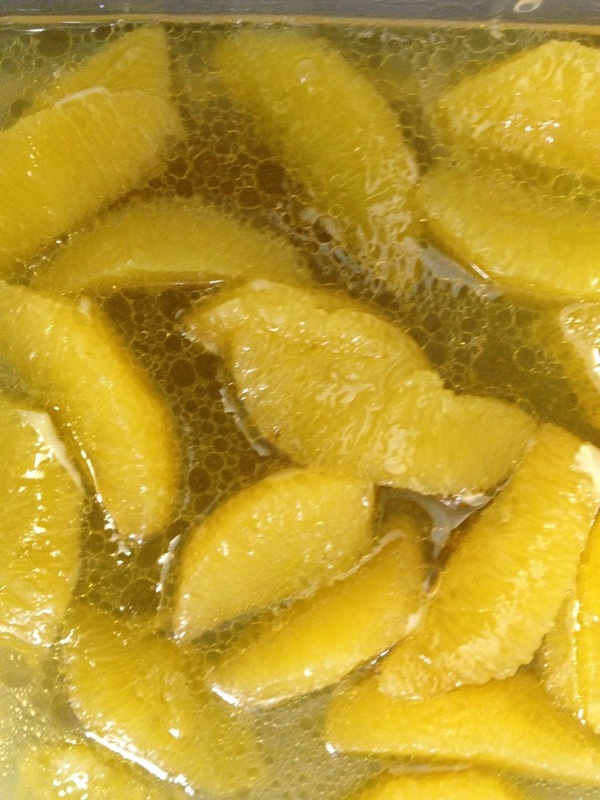 I started off by preparing some orange slices. To which I added chopped red onion and rice vinegar, sesame oil and olive oil. 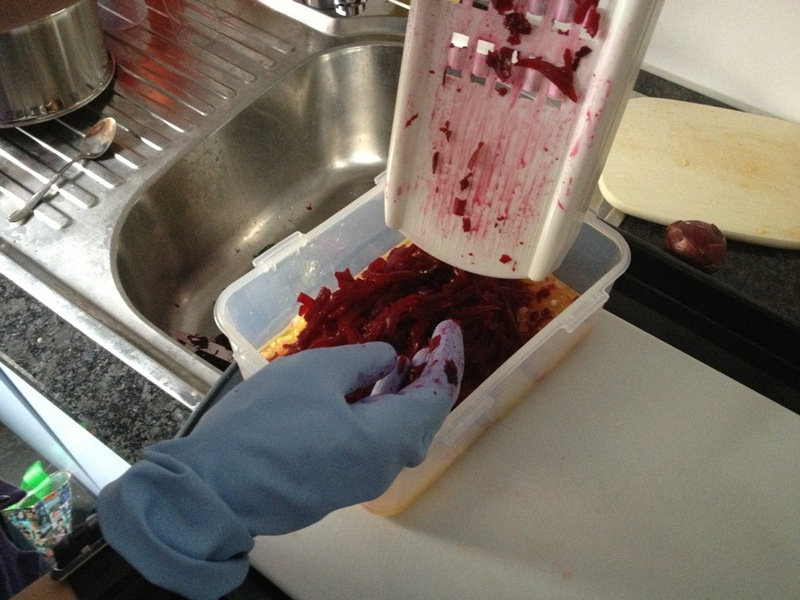 Next I grated the beetroot. 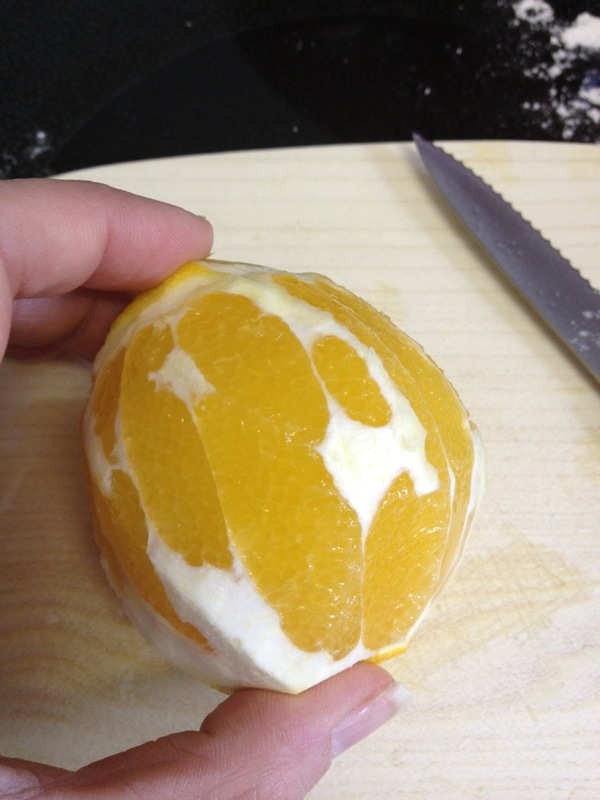 This always looks like a blood bath… I highly recommend wearing gloves! Next I added chopped walnuts and chopped parsley and seasoned the salad with salt, pepper, some dried thyme and balsamic vinegar. It went great with the other salad and the delicious meat.